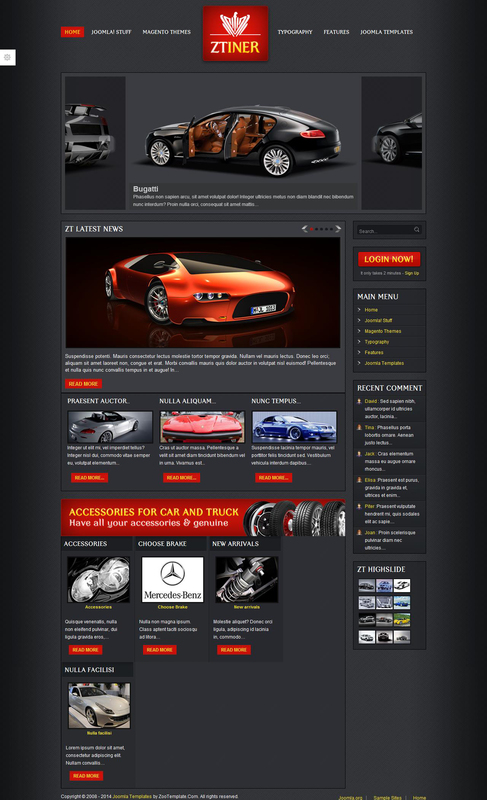 ZT Iner - stylish and elegant car template from the studio ZooTemplates. Help optimally present properly accessories or car brands. ZT Headline module allows display great range of products with a photo in the center. JV News and ZT Highslide O modules for visual material into different categories and groups for visitors.